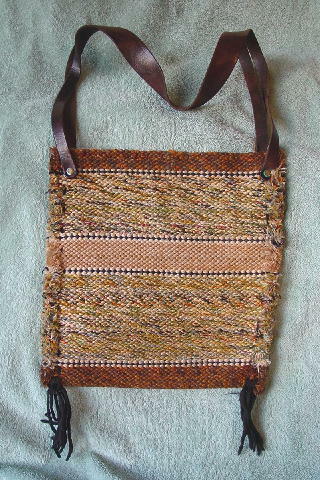 This vintage custom-made woven bag has a dark brown shoulder strap made of a solid piece of leather which is split in half on the lower 10" of each side of the purse. 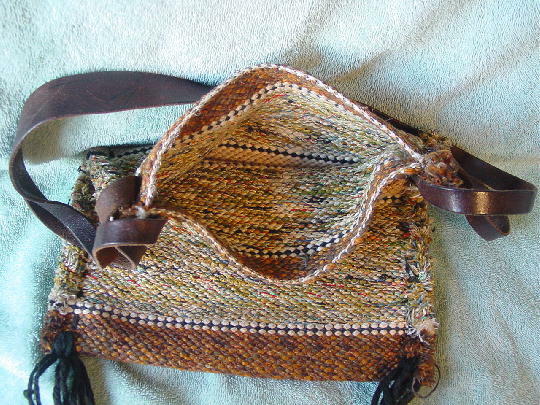 The four pieces are attached to the purse by brads which are somewhat tarnished. The bottom corners have black fringes. It's in browns, sand, black, red, blues, orange, yellows, and greens. She got it from her aunt, who used to be a model.